Dieses Thema enthält 4 Antworten und 3 Teilnehmer. Es wurde zuletzt aktualisiert von VRM marine vor 2 Monate, 1 Woche. good evening , is there anyone who has pictures of Former tug Bugsier 5 ? (year off construction 1887), also called Tummler. MOIN to you down there in the Netherlands! 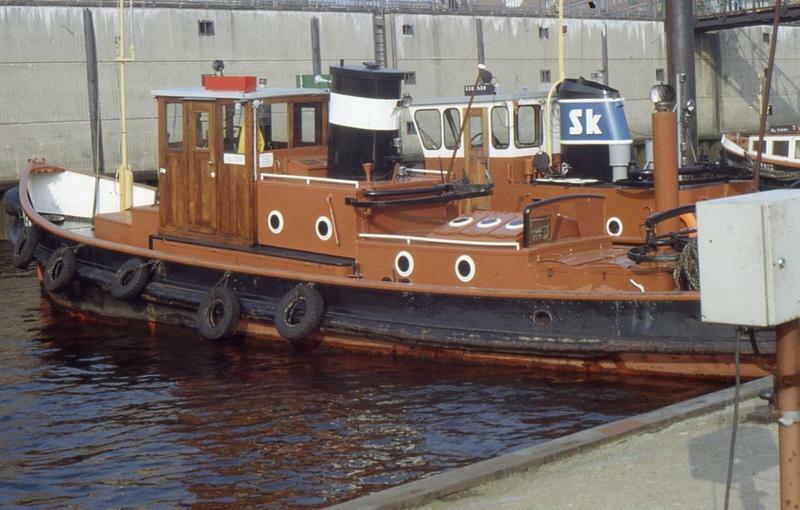 It has been 3 years now that you started your request and i hope you´re still around here, cause today i can post two pics of your tug i made in 1984 and found now when examined my mother´s estate. I scanned and arranged them with photoshop a little to give them an acceptable quality. Taken as a diapositive, like people used to do 30 years ago, the original pics were in a bad condition and all i could do was saving them by digitalizing, so here we go. You see that the original roef is narrow and the entrance to the lodging rooms is still in its former shape like it was constructed in 1887. 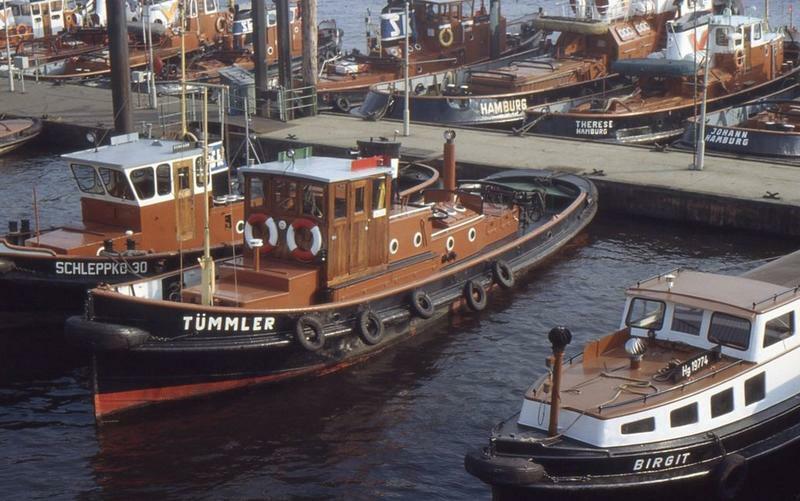 Do you know about the small book HAMBURG TUGS by Michael Dollenbacher and Reinhard H. Schnake wich was published in english language by the World Ship Society in 1989? A b/w Photo of your ship as a motor- tug with a short vitae can be found on page 115. I would send you the pics in higher resolution via e-mail, if you name the adress.